What Are the Treatments for Malignant Colon Polyps? The Whipple procedure, also called a pancreatoduodenectomy, is surgery that treats pancreatic and small bowel cancer. The surgery is named for Dr. Allan Oldfather Whipple, who pioneered the procedure. During the complex operation, surgeons remove the upper section of the small intestine, the gallbladder, the head of the pancreas, a section of the bile duct and sometimes the lower section of the stomach. After the organs' removal, the surgeon reconstructs digestive tract. This risky surgery has several serious complications associated with it and a long recovery time. A fistula, or abnormal connection, may form between the remaining pancreas and areas in the abdomen. The suture line connecting the pancreas to the small intestine may heal slowly and leak pancreatic juice. The leaking makes internal organs stick together. Surgeons leave drainage tubes in place for a few days after surgery to help drain any juice that may leak. The leaking trickles off. Any fistulas that form may require additional surgery to repair. Pancreatitis in the remaining pancreas is a common issue after the procedure. Pancreatitis is an infection or inflammation of the pancreas. The incision may also become infected. Symptoms of an infection after surgery include fever, swelling or redness at the incision site, increased pain and drainage from the surgical incision. Antibiotics help decrease the pain associated with the condition and help clear up the infection. After surgery, it may take up to a week for the digestive tract to function normally. The physician allows a diet of clear liquids before advancement to a regular diet after surgery. The stomach may be slow to release food at the beginning. This may cause a full feeling after a small portion of food, as well as abdominal bloating. 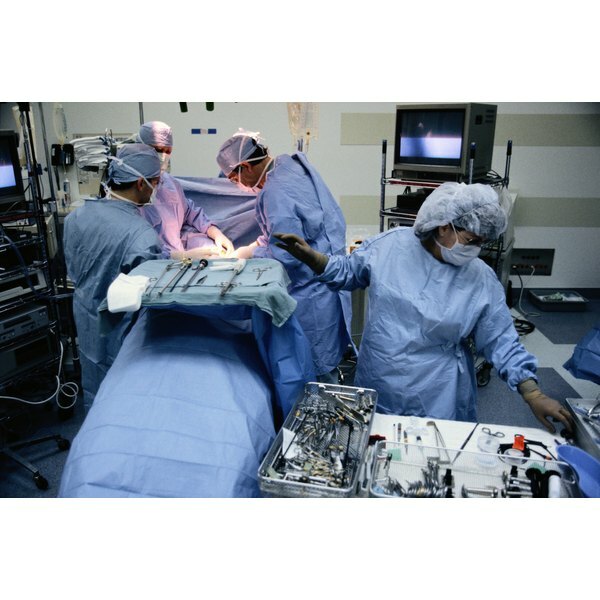 According to the Center for Pancreatic and Biliary Diseases at the University of Southern California, about 25 percent of people undergoing a Whipple procedure have problems with a partial stomach paralysis. The major role of the pancreas is to produce insulin for the body. Insulin helps break down sugar in the body. Once the head of the pancreas is removed, the remaining pancreas may have problems attempting to produce enough insulin to cover the sugar intake. Some patients develop diabetes for a short time following surgery. The decrease in pancreatic function may also cause fattier stool, evidenced by the stool floating. Weight loss is a concern for patients undergoing the Whipple procedure. According to the Mayo Clinic, the average patient loses about seven percent of her pre-surgery weight.